St. Francis ready to rock in M-Town. 1. 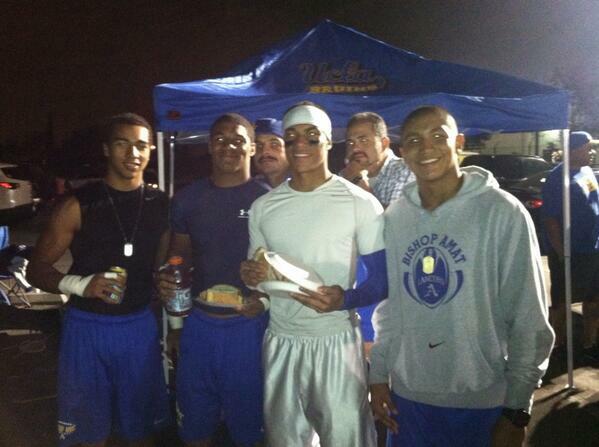 Bishop Amat (4-1) — St. Paul only satisfied masochistic Amat fans. 2. Chino Hills (4-1) — Averaging nearly 42 points per game. 3. St. Francis (4-0) — Pulled away late from a decent Damien team. 4. La Habra (4-1) — Overall, a solid nonleague showing. 5. Monrovia (4-0) — Got revenge in style vs. South Hills. 6. Glendora (4-0) — Cardiac Tartans getting it done late. 7. Los Altos (4-0) — Had a bye to scout D-Ranch. 8. Diamond Ranch (4-1) — Very well put together team. 9. La Serna (3-2) — Beat Westlake, lose to Norco. Same as ’12. 10. Diamond Bar (4-1) — Bonita win showed something. 11. Santa Fe (3-1) — We’ll see what’s up vs. Chaparral. 12. Bonita (3-2) — Has to hope everyone takes turns in league. 13. South Hills (2-2) — Counting days til Alex Powell is eligible. 14. Muir (3-1) — Opened league with easy rout of Hoover. 15. Ayala (2-2) — Looks awfully dangerous in Sierra. 16. West Covina (2-3) — Sloppy offense better get going. 17. Whittier Chr. (3-2) — No match for Salesian. 18. Arroyo (3-1) — Could be looking at 9-1 season. 19. Damien (2-2) — Hung with St. Francis for a while. 20. San Dimas (1-4) — Ready to get on a roll. 21. Rio Hondo Prep (4-1) — Bye week to prep for the Prep. 22. San Marino (3-1) — Averaging 57 points per game. 23. Pomona (5-0) — Hasn’t beaten a team with a winning record. 24. Northview (4-1) — Could still finish 9-1. 25. Baldwin Park (4-0) — Opens VVL with Nogales. Games left: Seven regular season + playoffs. Amat Super Sophs set to own the Valley for next three years. 1. Bishop Amat (3-1) — Proved Valley supremacy once again. 3. St. Francis (3-0) — Trounced La Mirada. M-Town showdown looms. 4. La Habra (3-1) — Got reality check against Mission Viejo. 5. 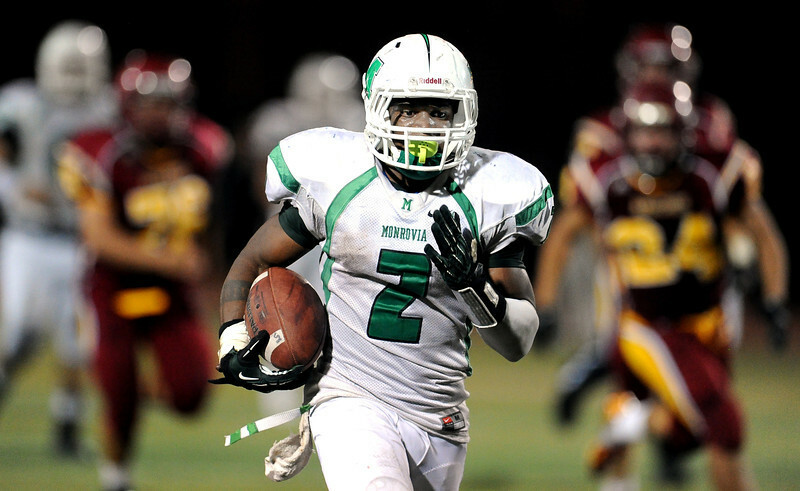 Monrovia (3-0) — Sans QB Potts, ‘Cats worked hard to beat SD. 6. Los Altos (4-0) — Perfect still, but many question schedule strength. 7. Glendora (3-0) — Two OT wins … now here comes Charter Oak. 8. La Serna (3-1) — Knocked off Westlake once again. Impressive. 9. Bonita (3-1) — Worked harder than most expected vs. Claremont. 10. South Hills (2-1) — Can they beat Monrovia in M-Town? 12. West Covina (2-2) — Nobody can slow CH right now. 13. Diamond Ranch (3-1) — Opens league with West Covina. Nice! 14. Whittier Chr. (3-1) — Got humbled by St. Margaret’s. 15. Diamond Bar (3-1) — We’re about to find out about Brahmas. 16. Muir (2-1) — Hung a 70-spot on Verdugo Hills. 17. Charter Oak (0-3) — Are they still favored over Glendora? 18. Ayala (2-2) — Proving to be a quality team. 19. Damien (2-1) — Will get tested for class vs. St. Francis. 20. Arroyo (3-1) — Better strength of sked than Northview. 21. 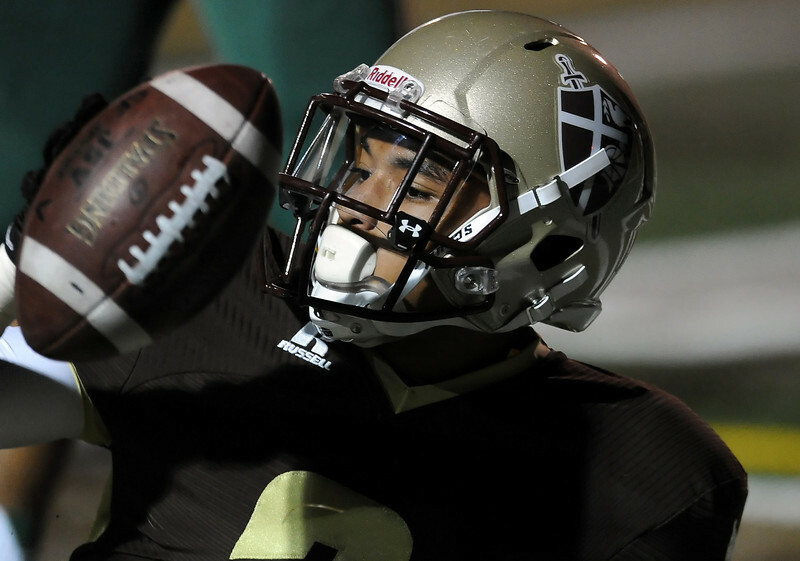 Northview (4-0) — Huge showdown with San Dimas looms. 22. Rio Hondo Prep (3-1) — Righted ship after Mission Prep loss. 23. Pomona (4-0) — Looking to end years of futility vs. Covina. 24. Baldwin Park (4-0) — Wins keep rolling in. 25. San Marino (2-1) — Averaging 54 points per game.